These can all be caused by chronic stress. When we’re stressed, our bodies go through a familiar pattern of response, called the “stress response” (Harvard Health Publishing, 2018). Initially, as the brain recognises a stressful situation, it sends a signal to the adrenal glands to release adrenaline into the bloodstream. As the adrenaline flows through our body, it causes physiological changes - our heart rate goes up, pushing more blood to the muscles; we take extra oxygen into our lungs; sight, hearing, and our other senses become sharper; and our blood pressure rises (Harvard Health Publishing, 2018; Ayada et al, 2015). After the initial surge of adrenaline which has ramped up our “fight or flight” response, the adrenal glands will then release cortisol. During the stress response cortisol acts to increase blood sugar availability and provide more energy for the brain, as well as allowing for tissue repair by being anti-inflammatory, and reducing the function of non-essential bodily functions eg. digestion, growth, and reproduction (Mayo Clinic, 2016). The stress response is designed to be short lived, and is only meant to activate while in a stressful situation. 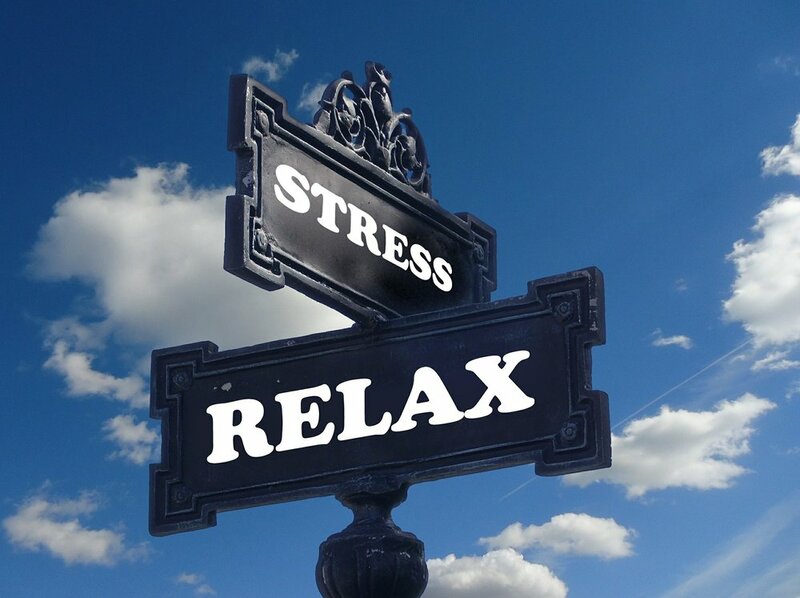 But when we are feeling under constant stress from work pressure, family commitments, or just a busy lifestyle with not enough down time, the stress response can stay on all the time (Hannibal & Bishop, 2014). This leads to cortisol being released for far longer than it was designed to be, which over time, and through a number of different mechanisms, means your cortisol stores become depleted. As cortisol has an anti-inflammatory effect on your body, when we are deficient in it, this leads to increased inflammation, leading to pain (Hannibal & Bishop, 2014). So as can be seen, ongoing stress can be a factor in chronic pain, whether by initiating or exacerbating pain symptoms, impairing healing, or prolonging the pain experience. It is therefore necessary to deal with both aspects if you feel that stress may be a part of your experience of pain. Acupuncture has been shown to be effective in both reducing stress and anxiety (Amorim et al, 2018), as well as in the treatment of chronic pain (MacPherson et al, 2017). If you have any queries about how acupuncture and Chinese medicine can help you, or would like to make an appointment, you can call Essendon Natural Health on 9337 8572, book online here, or email me at lachlan@essendonnaturalhealth.com.au. Lachlan is a passionate and caring acupuncturist and herbalist working out of Essendon. With Acupuncture, Lachlan can treat chronic pain, stress and anxiety. You can learn more about Lachlan and what he treats here. Amorim, D., Amado, J., Brito, I., Fiuza, S.M., Amorim, N., Costeira, C. & Machado, J. (2018). Acupuncture and electroacupuncture for anxiety disorders: A systematic review of the clinical research. Complementary Therapies in Clinical Practice, 31, 31-37. Ayada, C., Toru, U. & Korkut, Y. (2015). The relationship of stress and blood pressure effectors. Hippokratia, 19 (2), 99-108. Hannibal, K. & Bishop, M. (2014). Chronic Stress, Cortisol Dysfunction, and Pain: A Psychoneuroendocrine Rationale for Stress Management in Pain Rehabilitation. Physical Therapy, 94 (12), 1816-1825. MacPherson, H., Vertosick, E., Foster, N., Lewith, G., Linde, K., Sherman, K., Witt, C. & Vickers, A. (2017). The persistence of the effects of acupuncture after a course of treatment: a meta-analysis of patients with chronic pain. Pain, 158 (5), 784-793.